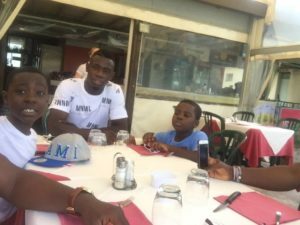 Photos:Afriyie Acquah spends time with agent’s family. 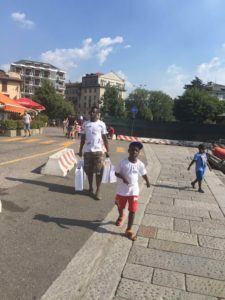 Torino midfielder Ebenezer Afriyie Acquah took some time off the playing field to have fun as he went out with agent Oliver Arthur and his family on Friday afternoon. 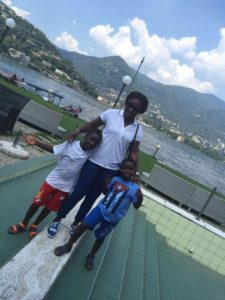 The Black stars midfielder featured in Torino’s Eusebio Cup victory over Benfica on Wednesday night in a 7-6 penalty shoot-out success and took to his official Twitter account to share good moments with his agent Arthur in Como a city at the southern tip of Lake Como in northern Italy. 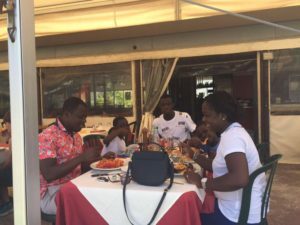 Below are pictures of Afriyie Acquah’s great time out with agent Arthur and his family.